Shunsuke Umiyama began designing products whilst he was still studying. Once graduated he wasted no time in setting up his own design studio called MicroWorks in Tokyo. You should check out his work. It’s really amazing! I came across this clever design of his a while back, before I had a blog where I could rave about it. 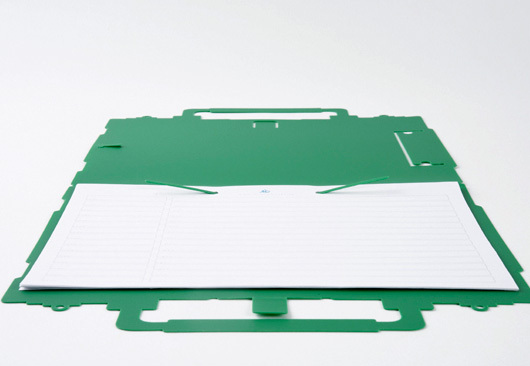 Paper Pack is a clipboard, pen holder and carry case all in one! 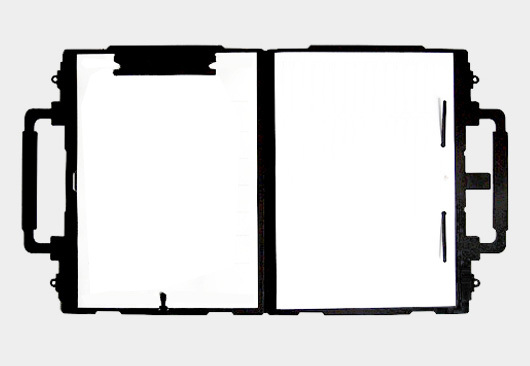 It’s such a great way to organise all those annoying but necessary loose bits of paper. 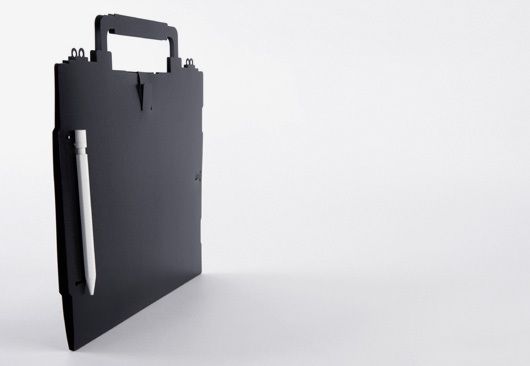 It also makes for a super lightweight briefcase perfect for holding your A4 documents and pens. 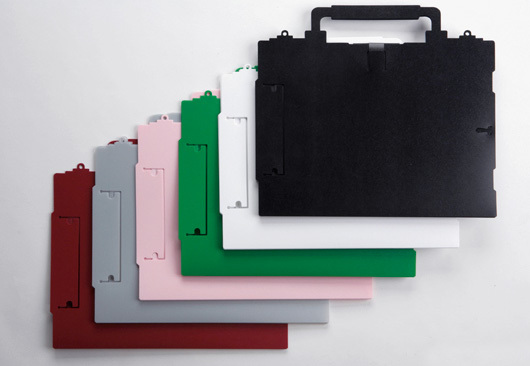 Paper Pack is made from a single sheet of polypropylene and comes in six colours. And for those of you who must have one, you can buy it here.